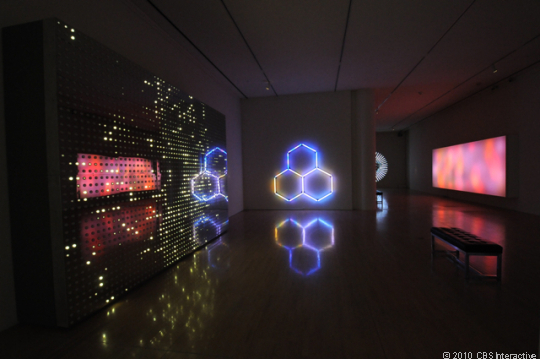 LEDs and mathematical shapes are probably not what most people would think of as art, but for Leo Villareal, these complex LED-based creations are what is known as “digital art.” Villareal’s works range from the size of an average painting to an entire wall covered with LEDs. For the full article on CNET, click the CNET Article link in Related Links section below. Philips Wins U.S. Department of Energy’s Bright Tomorrow Lighting Prize (L Prize) Philips Unveils EnduraLED A21 17W LED Bulb Maglite XL50 LED Flashlight Announced Mag Instrument Going Strong with Made in USA Welcome to LED-Resource!